Being aware of what we eat and stepping up nutrition are key aspects of handling any health condition. When it comes to cancer, one needs to focus on increasing immunity to fight against the attacking cancer cell. Most recipes in this section are therefore rich in immunity-helpers like antioxidants. It is also necessary to boost the protein content of your meals, in order to maintain cell health. You must choose whole grains rather than refined ones, limit sugar intake, avoid fried foods, and opt for fresh fruits and veggies as much as possible. This section is divided into various categories, focusing on the meals of each day as well as on specific ailments and conditions related to cancer. Pick the best foods for you, and speed up the journey to good health. 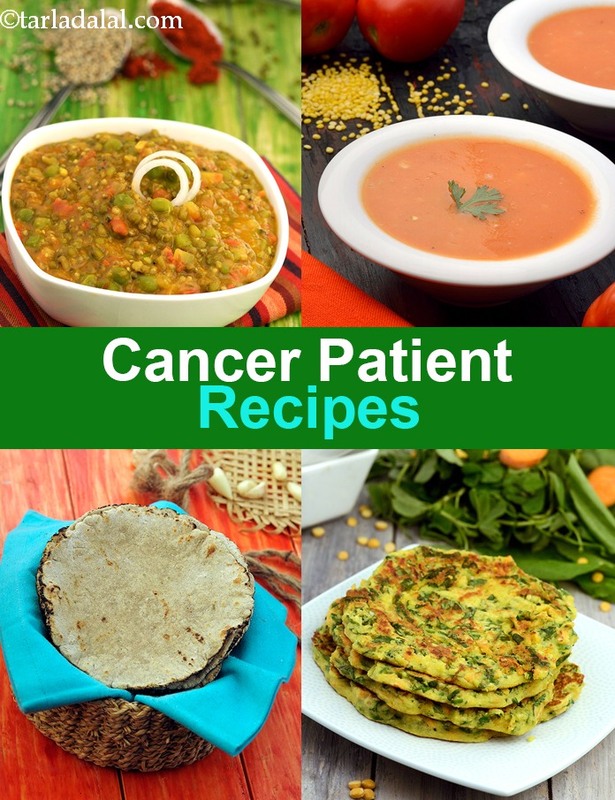 Enjoy our Recipes for cancer patients, Healthy Veg Recipes for Cancer Patients and other cancer recipe articles below.